Fangirls, let me tell you something; I love sketch comedy. I didn’t realize I harbored such an intense love of it until the past year or so, but since then, I’ve been following a group called Aunty Donna. 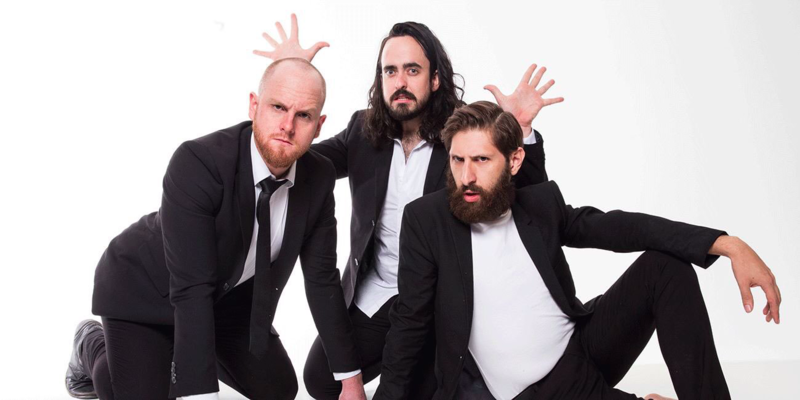 Aunty Donna is an Australian sketch comedy trio who I can’t get enough of, and this past weekend, I got to see them live. I like live performances quite a bit. I love the rush and build up, being in a theatre, and just seeing people perform live. My boyfriend isn’t always a huge fan of live performances, but he loves Aunty Donna as much as I do, so it was well worth it to both of us. We went to DC early; we got to the Lincoln theatre about 2 hours before the doors opened, and we waited. Since I have a sprained ankle and can’t stand, the venue was kind enough to bring out a seat for me to wait in. When we got inside, the staff had also held two seats in the very front row for us, so I would be able to extend my leg, see, and enjoy the show. 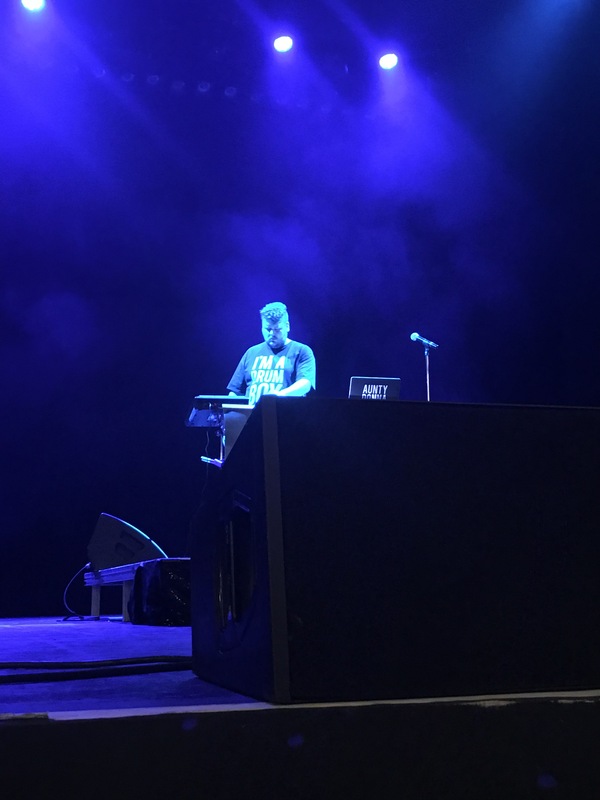 Two hours after sitting down, Tom (their DJ and podcast editor) came out and did about 15 minutes of beats for us. The only thing I didn’t like about this was the cruddy audience members behind me, complaining that this isn’t who they’re here to see. After 15 minutes, the lights dropped, and the boys came out. This show was phenomenal. There were some sketches we had seen before, audience participation, and a couple snafus. They had changed some things from older sketches to make them new and interesting, and that was exciting to be a part of the little twists. My favorite thing, however, were the things that didn’t quite go to plan. Mark was having microphone issues, and during one sketch, part of his line was missed. Once the sound came back on, Zack told him he should repeat himself so everyone could hear what he was up to (masturbating to season one of survivor). Then, later in the show, Mark missed a cue, and when he was called on stage, he started off with “sorry, I was talking to the sound guy about some microphone issues and got distracted, but this is your landlord.” I feel like I’m making them sound disorganized, but the point I’m trying to make is that these boys had stuff thrown at them, and rolled with it like the pros they are. It’s also nice when stuff happens because you know you’re getting an experience that not everyone who sees the performance will get. Someone got up during a sketch, and Broden asked where he was going, repeatedly. It was silly, they worked it into the sketch, and I think that made for a better show. My boyfriend and I had a blast at the show, and got to meet them afterwards. 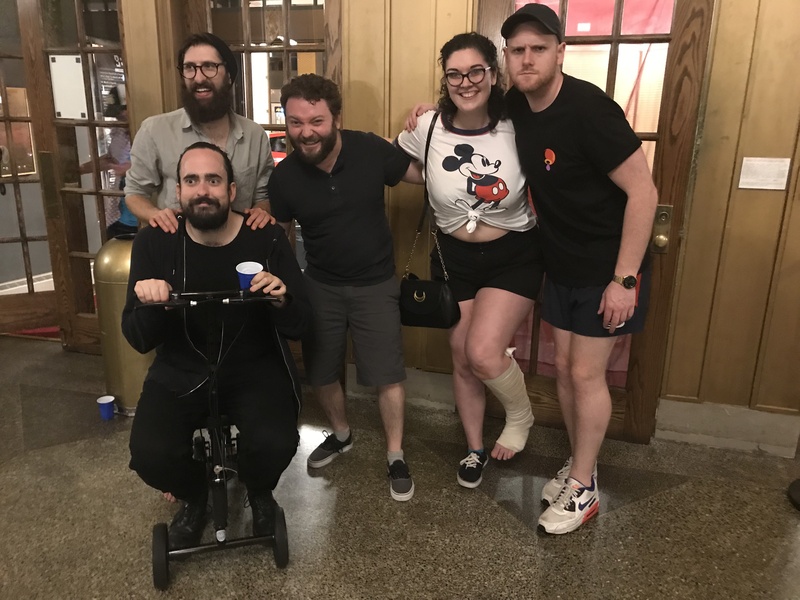 They were all incredibly nice, their manager asked what happened to my ankle, and Zack played with the knee scooter I’ve been using. We had a really great time, and if I had the vacation time and money, I’d be following the rest of the tour with them. If you’re even remotely close to one of the areas their heading, you need to go. Tickets are $30, and you can see where the tour is headed here!